Tomorrow, Microsoft is expected to unveil the Surface Pro 6 during its Surface event being held in New York City. The festivities get under way starting at 4pm EDT. While we don't expect much change in the way the new Surface Pro looks, it will have more rounded corners according to leaked images of the device. 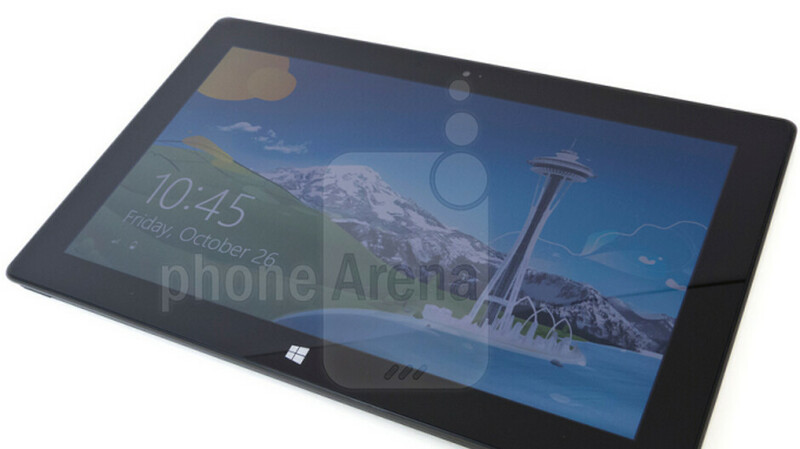 And it will be available in Black, if a listing for the October 16th Surface event in New Zealand is to be believed. 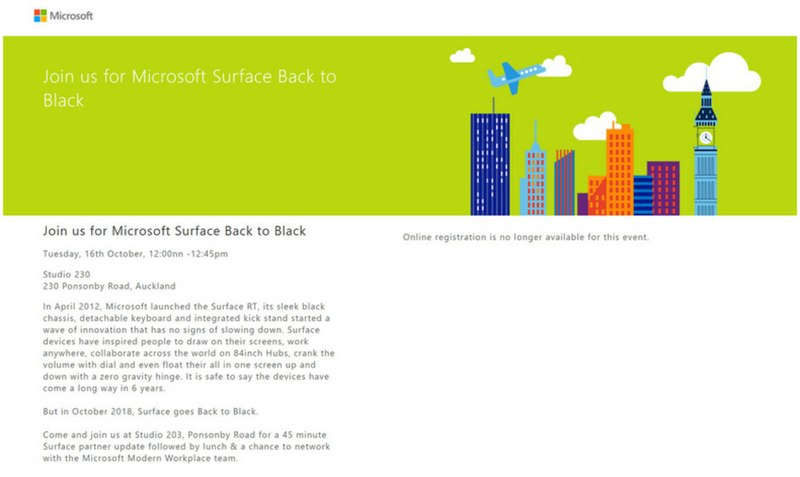 That event is called Microsoft Surface Back to Black and the listing (which has since been taken down) goes into detail about how the first Surface RT, which featured a "sleek black chassis, detachable keyboard and integrated kickstand," started a wave of innovation (see image at the top of this article). "The devices have come a long way in six years," says the promo. "But in 2018, Surface Goes Back to Black." The current speculation has the Black color option available for high-end variants of the Surface Pro 6. Speaking of price, the other day we told you to expect the new line to be priced the same as last year's Surface Pro (2017). And that means we should see the new models start at $799. And once again, Surface Pro owners are probably going to end up wondering why they can't get a USB-C port to use. After all, the Surface Go tablets offer this feature. Instead, Surface Pro 6 users will have to deal with a mini DisplayPort and a USB-A port. There already is talk about a major redesign for the 2019 Surface Pro, but we don't want to get too far ahead of ourselves. The Surface Pro 6 gets the spotlight tomorrow, so you just might want to check in often for the latest on the event.